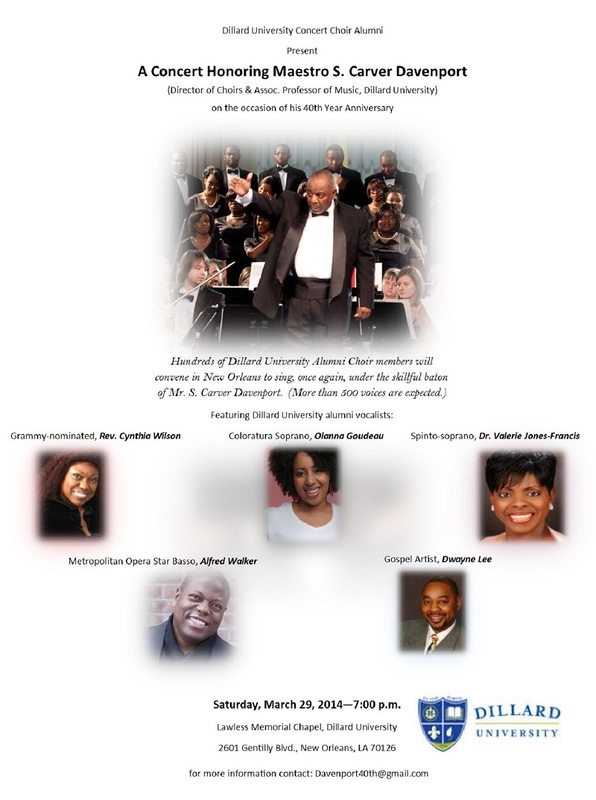 Hundreds of Dillard University Concert Choir alumni will gather March 29 at 7 p.m. in Lawless Memorial Chapel to honor longtime choir director Professor S. Carver Davenport. The campus is located at 2601 Gentilly Blvd., New Orleans, La. 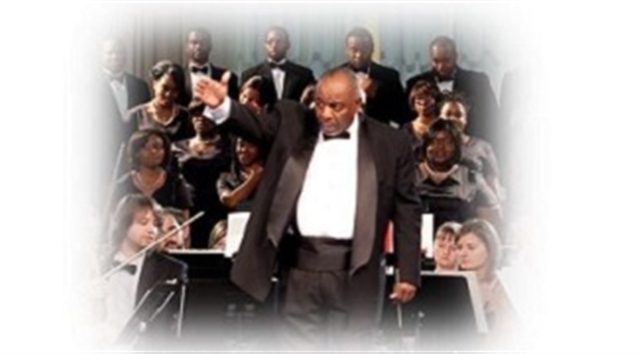 Professor Davenport is approaching his 40th year at Dillard University as Associate Professor of Music and Director of Choirs. Noted alumni returning to perform during this special event include Metropolitan Opera Star Basso Alfred Walker of New York, New York and Grammy-nominated artist Rev. Cynthia Wilson of Atlanta, Georgia.